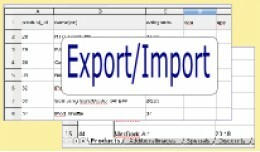 Product import export suite is useful to products backup & restore in popular method ( XLS, XLSX, CSV). 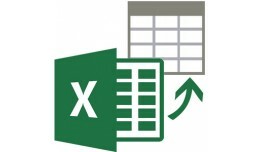 Excel data entry is easy because of simple separation symbols used. Contact us at support@modulepoints.com If you like this..
All data in OpenCart (such as products, orders, customers and the like) are stored in a database. The store owner has limited access to that data - it's not as easy as to get access to files under store root folder. 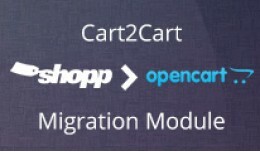 One has such options as user ..
Cart2Cart: Shopp to OpenCart Migration Module is designed to make the process of data import error-free and absolutely easy. To start data transfer you do not need to be tech competent. You will use your OpenCart admin panel and there will be no.. This extension is inspired by Microsoft Dynamics Crm Import . 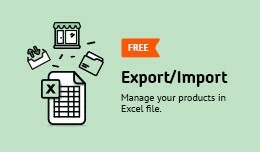 You can import any type of csv file with any sort of column names and data from any platform . This Plugin allows you to map Columns with Opencart Product fields manually. 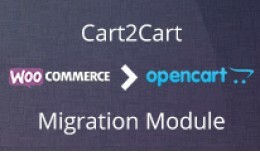 After y..
Cart2Cart: WooCommerce to OpenCart Migration Module is designed to release you from tedious work of eCommerce data import. All the required categories will be transferred smoothly. 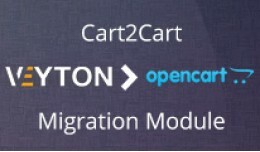 The process is brightly planned and there is no need to be a pro..
Cart2Cart: WooCommerce to OpenCart Migration Mod..
Cart2Cart: osCommerce to OpenCart Migration Module is designed to release you from monotonous work of OpenCart data import. All the required entities will be transferred quickly and accurately. 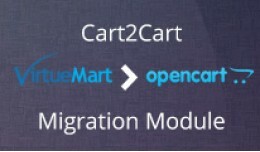 The process is brightly planned and requires no tec..
Cart2Cart: VirtueMart to OpenCart Migration Module helps to migrate all the important eCommerce data in a snap. Migrate from VirtueMart to WooCommerce products, customers, orders, and other required entities effortlessly. 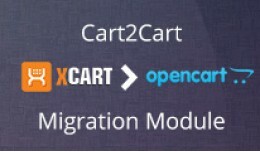 The OpenCart data impor..
Cart2Cart: X-Cart to OpenCart Migration Module is designed to make the process of data migration absolutely easy and spotless. To start replatforming there’s no need to be a programmer. 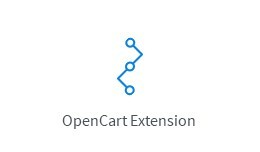 You will work within OpenCart interface, without redirect..
Cart2Cart: H.H.G. 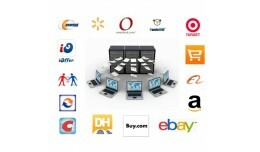 Multistore to OpenCart Migration Module is designed to release you from the OpenCart import hassle. All the required entities will be transferred smoothly and securely. The process is brightly planned and requires no particular..
Cart2Cart: H.H.G. 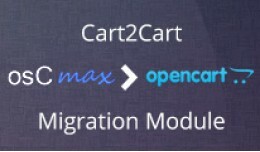 Multistore to OpenCart Migrati..
Cart2Cart: osCMax to OpenCart Migration Module was specially designed to make the life of online vendors easier. If you decide to enhance your business and switch over to the more advanced platform there are 3 easy steps to get the job done. 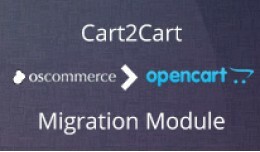 Mig..
Cart2Cart automated shopping cart migration service ensures safe, top-level Wix to OpenCart data import. 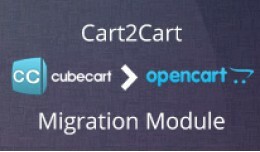 The module will automatically move all your data, including products, customers, orders, categories and other entities to your OpenCart sto..
Cart2Cart: CubeCart to OpenCart Migration Module is designed to make the life of online merchants easier. Once you decide to empower your business and move to the more advanced platform there are 3 steps to get the job done. 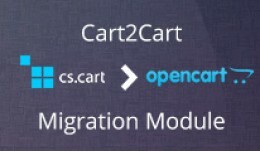 Migrate products, cu..
Cart2Cart: CS-Cart to OpenCart Migration Module was developed to help online store owners and people dealing with e-commerce to get rid of the platform migration hassle. You are offered to go through effortless procedure that guarantees the secu..
Cart2Cart: Interspire to OpenCart Migration Module will easily transfer information on products, orders, customers product categories, manufactures, taxes and other necessary data. 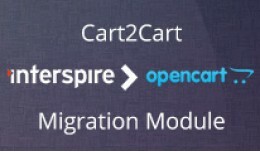 For ecommerce merchants who seek to change their Interspire plat..
Cart2Cart: SunShop to OpenCart Migration Module is created to facilitate the process of data migration and make your switch to OpenCart as simple as possible. OpenCart import via Cart2Cart is shortened to the fullest: all you need to do is to fo..